MOSCOW (UrduPoint News / Sputnik - 16th April, 2019) The director of the International Cooperation Department at the Libyan Government of National Accord's (GNA) Foreign Ministry, Jamal Barak told Sputnik on Tuesday that he had called on participants to the Russian-Arab Cooperation Forum to promote de-escalation in Libya by urging the leader of the Libyan National Army (LNA), Field Marshal Khalifa Haftar, to cease hostilities. The Russian-Arab Cooperation Forum was held in Moscow earlier on Tuesday. "The solution has to be ceasefire. The attacking forces should go back to their base. Then they can sit and talk about peace. What has happened is an attack against Tripoli. If the attacking forces accept [the idea] to go back to their base, then, I am sure, everyone [will be] ready on the other side to sit and talk about peace. I was very clear in my delegation's speech today, that is what we ask. Let's see what they will do," Barak stressed. 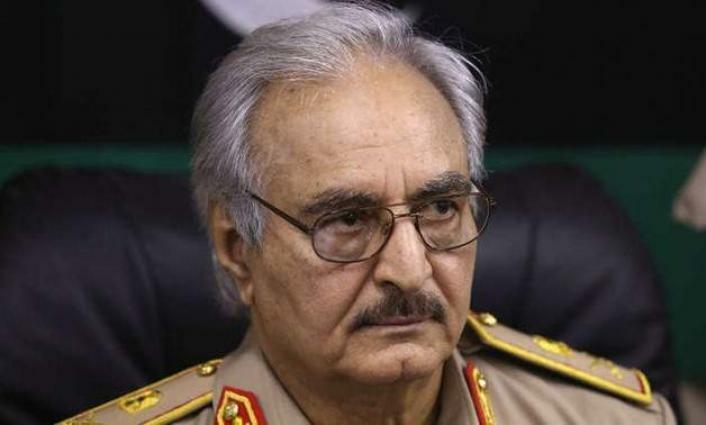 He opined that the LNA's offensive operation against Tripoli might have been carried out in order to foil the new round of the intra-Libyan negotiations. For years, Libya has been split between the two governments: the eastern part of the country is controlled by the parliament elected in 2014 and backed by the LNA, while the UN-backed Tripoli-based GNA governs Libya's western parts.